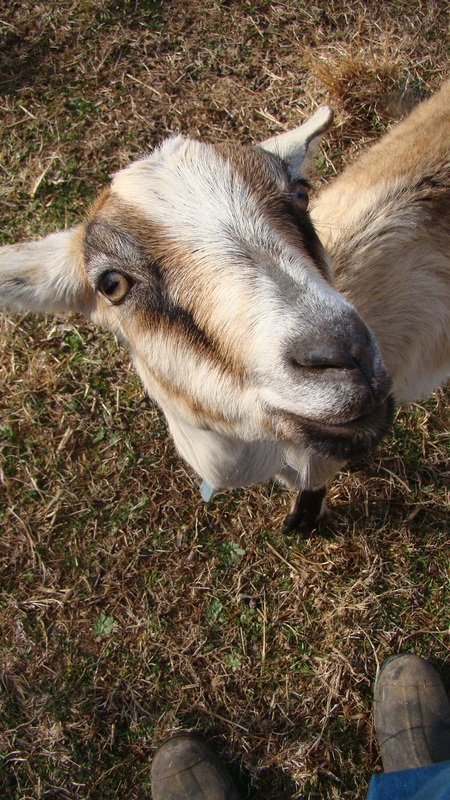 In the pasture, my view of my boots always includes a goat named Summer. She was one of Hermione’s 2012 triplets. The smallest and youngest and weakest, aka a bottle baby. I’ve raised other bottle babies before, including Mina and Bella who were our very first goats and a lamb or two along the way. None are as attached to me as Summer. I should have named her Shadow. Such a sweet and pretty face to have looking at you though. Awww, she loves her mom. So cute. She is so cute. How can you say no to that face. She would probably really like to become a house goat.